The Hydro-Mini® product line uses our proprietary Double-Tube reformer for hydrogen generation. The Double-Tube reformer is a novel design that combines high reliability and high thermal efficiency. 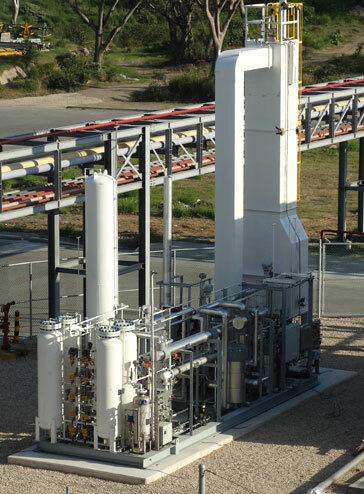 This unique steam-hydrocarbon reformer is a compact furnace enclosure ideally suited for hydrogen production in the range 1,875 - 15,000 scfh. 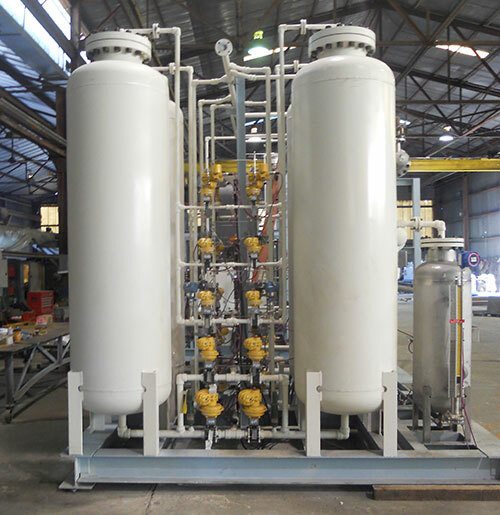 The reformer contains a single reaction tube fired on two sides from the bottom. The furnace enclosure is wide at the bottom to accommodate the burners and tapered at a height several feet above the length of the flames to a narrow upper section. The reaction tube consists of an annular portion filled with catalyst and a center return tube. The reaction tube is supported from the bottom and allowed to thermally expand upward through the use of a counterweight system attached at the top of the tube. The combination of the furnace enclosure geometry and the reaction tube with a center return tube results in an even temperature profile over the length of the reaction tube and a high thermal efficiency in the furnace. The Hydro-Mini® product line uses PSA technology for hydrogen purification. 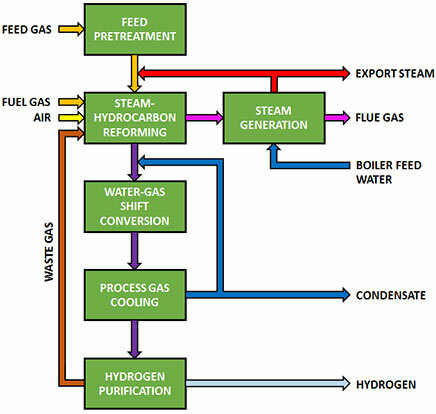 The system is proven, cost effective and provides excellent hydrogen purity and yield. 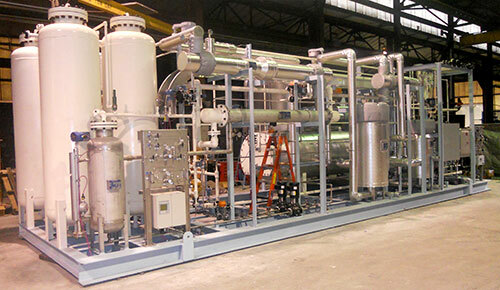 The complete PSA system includes adsoption vessels filled with solid adsorbents, stepping valves, automatic isolation valves, a pressurization gas flow control valve, and a hydrogen product pressure control valve. The Hydro-Mini® process control system controls the PSA stepping sequence.